Oct. 4 — The physics of the world around us are often too complex to fully model in a virtual environment. The complexity can bottleneck improvements in manufacturing, scientific research and development, and high-power lasers used for defeating ballistic missiles. A relatively new software package called BLAZE Multiphysics from CU Aerospace is making what used to be too complex—simulating a range of laser physics within a flowing plasma, for example—a fully modeled reality for researchers. This was done by combining a number of new, reconfigurable physical models within BLAZE. 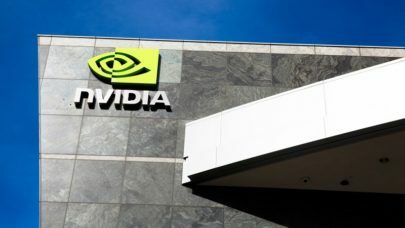 The most innovative of these new models were recently validated using the National Center for Supercomputing Applications’ (NCSA) industry supercomputer iForge—an on demand resource for private companies performing large-scale simulations. The new models can be applied in a wide range of scenarios but have been uniquely useful in modeling gas lasers. They were described in a paper published in mid-September by Director of Modeling and Simulation for CU Aerospace Andrew Palla. The multiphysics modeling capabilities in BLAZE have been 20 years in the making, and the software has been on the market for the past two years—with notable customers in the Department of Defense and industry. Laser pointers are a type of “solid-state lasers,” meaning the beam is generated and amplified in a solid material. Gas lasers, on the other hand, rely on a gas, and as a result, typically produce a beam which can more effectively deliver high power over long distances. “CU Aerospace engineers have cut through steel plating with a kilowatt-class gas laser at a distance of several feet over several seconds. The real question is, can you develop a far more powerful laser to do this to a ballistic missile almost instantly at 10 miles, 100 miles, 1,000 miles,” Palla said. “To develop high-power lasers that operate over long distances, we need to represent the multiple layers of physics in one single virtual space. BLAZE can do that now,” Palla said. Models researchers create independently to study lasers often leave out important physics due to the challenges associated with representing them numerically. For example, electric discharge physics are often left assumed constant, or “frozen,” in gas laser models; in reality, they’re far from constant. And since these discharge physics influence other processes crucial to the formation of the actual beam, researchers end up with incomplete models. BLAZE is versatile and isn’t just used for simulating laser physics. Researchers can develop their own models and combine them with existing ones provided with the BLAZE simulation engine to virtually prototype innovative solutions to manufacturing, and engineering research and development challenges. Philippe Geubelle, head of the Department of Aerospace Engineering at the University of Illinois at Urbana-Champaign and an NCSA Faculty Fellow, is working with CU Aerospace to analyze and design a new kind of heat exchanger made of a microvascular fiber-reinforced composite material. “These microvascular composites are made using sacrificial fibers. You place these fibers in the preform, and go through the traditional manufacturing process. Then, you raise the temperature a little bit, and the sacrificial fibers get vaporized and you get these very nice channels,” Geubelle said, adding that the manufacturing method has strong potential for self-healing and actively-cooled composite materials. For the heat exchanger, the different processes at play range from temperature to flow rates for the fluids down to the shape of the channels—with almost unending possibilities for changing each. Using BLAZE and iForge, Guebelle and his team hope to narrow down the choices to a design that results in the most efficient heat exchanger.